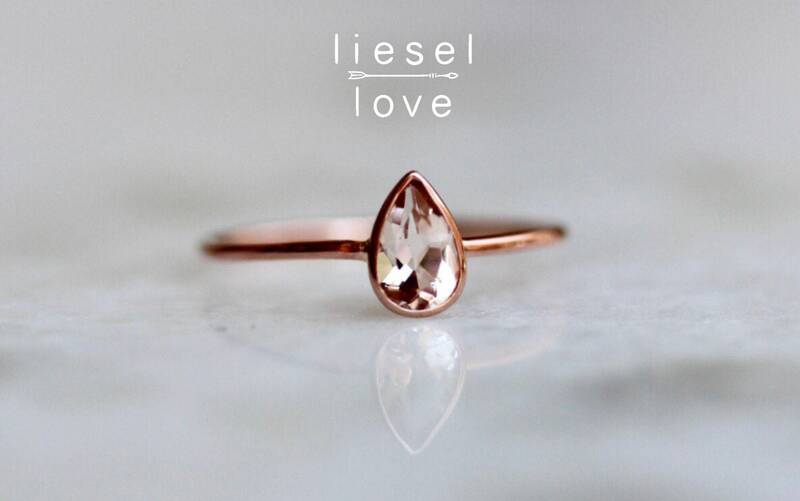 A rare and special gem for a rare and special wearer! 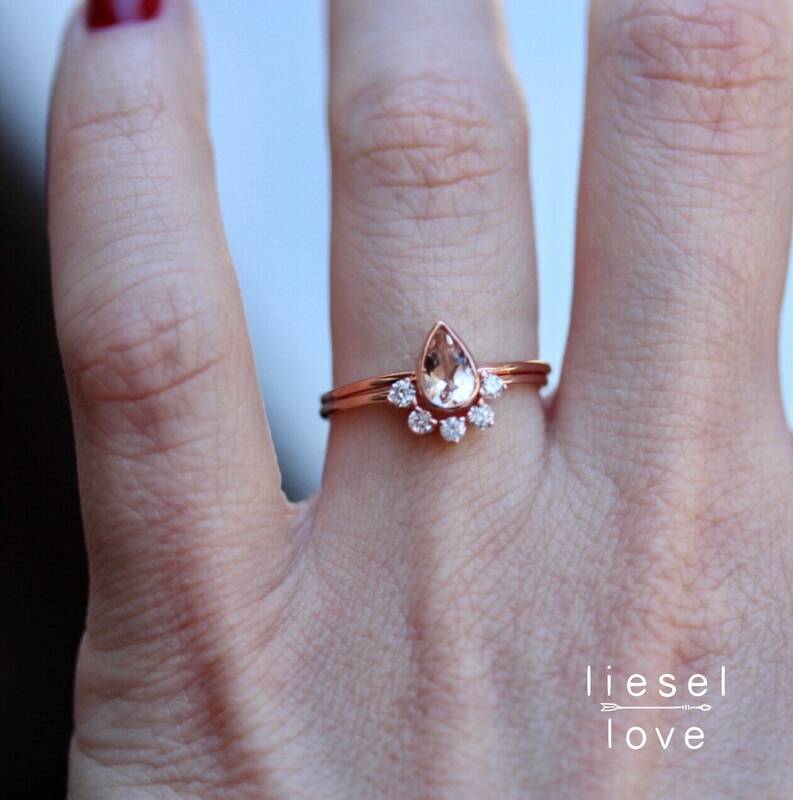 Our 14K "Rarity" ring features a pear shaped morganite stone, set in a bezel. 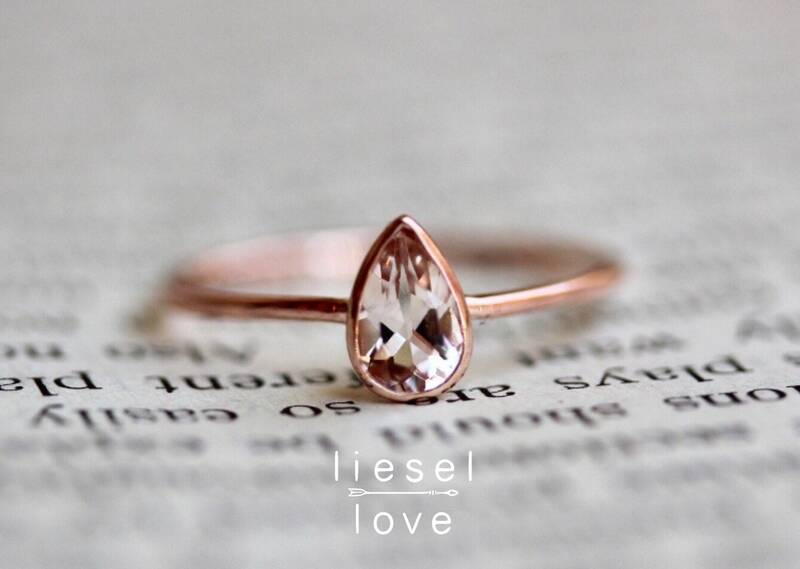 A perfect alternative engagement ring for the bride that's thinking pink! My fiancé is very happy with this as her birthday present. The size perfectly fits and I’m sure that I’ll end up ordering from this seller again. Exactly what I wanted. Appears beautifully and well-crafted. I have small thin, fingers, and the “daintyness,” as advertised, is perfect. 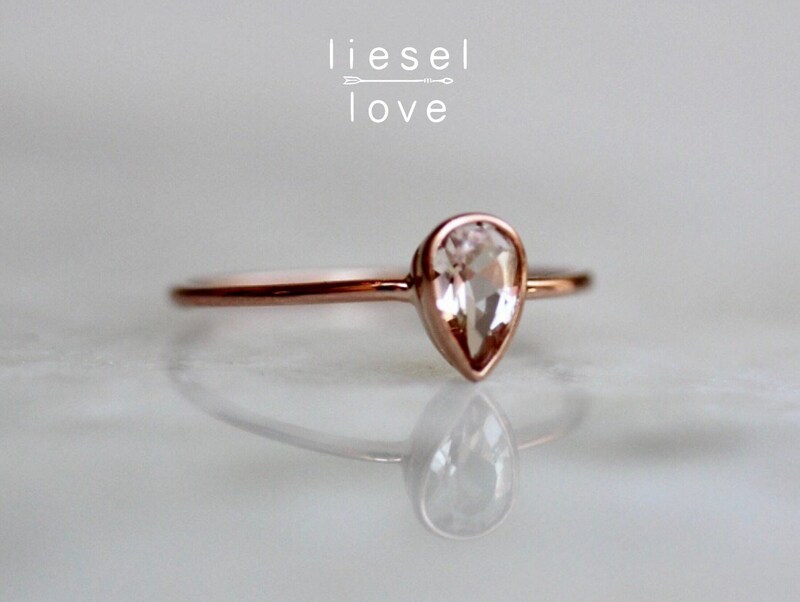 I would highly recommend doing business with Liesel Love. Dainty and oh so pretty! Love it! 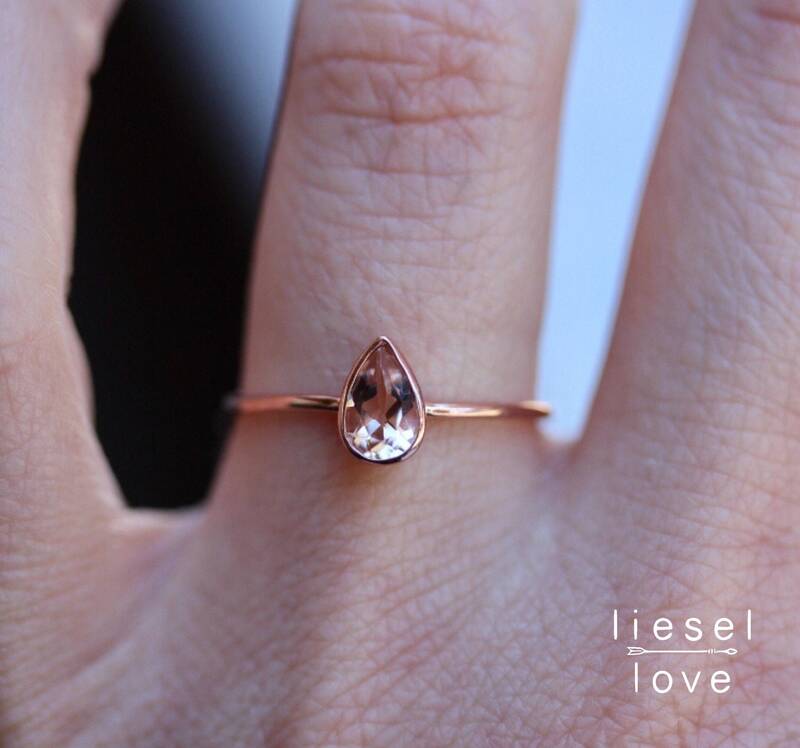 Adore the teardrop design. Thanks!